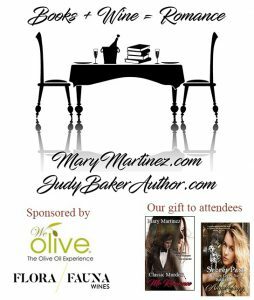 At this event you’ll meet two local Authors: Judy Baker and Mary Martinez. They are published in multiply genres. Enjoy exploring your favorite genres, starting with romance, romantic suspense, historical westerns, women’s fictions and more.